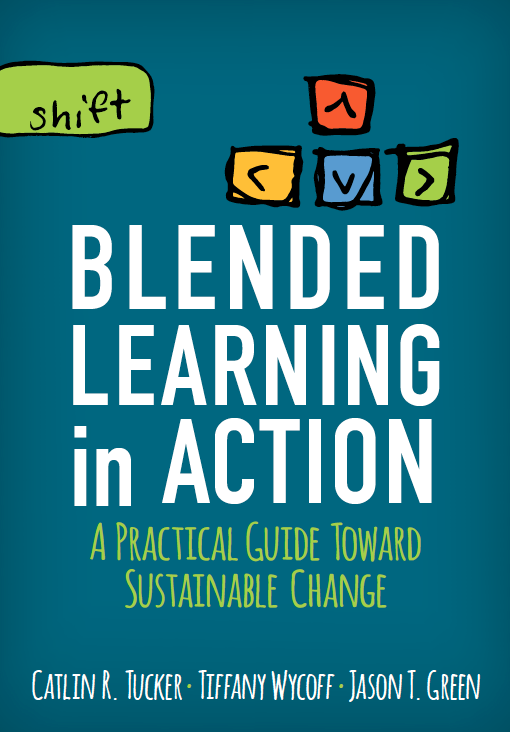 My goal with blended learning has always been to shift the focus from me to my students. I want to place them at the center of learning. I want them to ask questions, conduct research, engage in conversations, collaborate with peers, and make meaning for themselves. I believe this is the best way to prepare them for life. being a student in a student-centered classroom is hard & some kids just don't want to work that hardClick To Tweet I teach 9th and 10th grade, so my students have been in school for 10 years before they walk through my classroom door. They’ve been conditioned to think that “teaching” is a person standing at the front of the room explaining information. This perception of what a teacher should do and what I actually do are very different. I see my primary role as two-fold: 1) I’m an architect of learning experiences designing engaging activities and projects so my students can discover and create, and 2) I’m a coach providing regular, real-time feedback as they work. The disconnect between their perception of what I should be doing and my actual role is hard for some students. They want me to spoon feed them information and I want them to be drivers of learning. My students’ role in the classroom has largely been to listen, take notes, and complete individual practice. Unfortunately, this traditional student role does not demand that they develop the key soft skills that people entering today’s evolving workforce need to be successful. A recent Forbes article titled “Why Soft Skills Matter And The Top 3 You Need,” states that “soft skills—specifically interpersonal skills, the ability to manage and control your emotions, communication skills, leadership, adaptability, and problem solving—are critical.” These soft skills are developed and honed when people work together and face challenges. This is what makes project-based learning hard for students. They have to use and improve these skills to work with a diverse group of individuals to complete tasks, negotiate responsibilities, and execute large-scale projects. Because my classroom is project-based, technology-infused, and student-driven, it demands that students take an active role in the learning happening. They cannot be passive bystanders. Some rise to the occasion and thrive; while others flounder and want to place the blame on the design of the course. As a teacher, I want to see every student succeed. However, I realize that my class demands that students grab the learning and embrace their roles as drivers of learning. So, the challenge for me continues to be the battle against my students’ perception of both my role as teacher and their role as learners in our classroom. How can I help my students to appreciate the skills they will need when they graduate? How can I engage even my reluctant learners and inspire them to want to learn? How can I help them to see the value in my roles as an architect of learning experiences and a coach? I have this sneaky suspicion that many of my students will not fully appreciate the skills they have developed in my classroom until long after they’ve left school. I imagine them being presented with a challenge at work and using the skills they’ve honed in N.E.W. School to rise to the occasion and address the problem, whatever it is. At least, that’s my hope. I get the same thing with my 6th graders! Those that struggle with taking charge of their own learning accuse me of not teaching. It’s hard to hear but what’s worse is having them think that me talking at them is the only way they can learn. It leaves me with the same questions you ask. I wonder what it would be like if student-centered leaning started earlier in elementary. I have to believe that the sooner these shifts happen, the better. 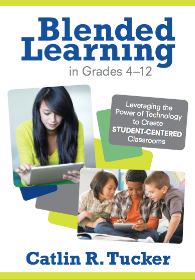 I work as a blended learning coach for elementary teachers and I marvel at the students’ curiosity and engagement. I think catching kids when their young is best. I believe most children are naturally curious, some more than others. And it’s all through experience – we try things, touch and feel things, even taste things; it’s how we initially learn about the world and our environment . Then, we’re brought into a (traditional) classroom where we are told to sit still and listen and the curiosity and is stifled and smothered. For some, it smolders like an ember, waiting to be reignited by an energetic teacher or innovative learning environment. For others, the spark wasn’t strong enough and it’s snuffed out entirely. I’m nowhere close to where you are on this path but I am trying to go down that way and I am struggling with the same difficulties you describe here. Thanks for all your posts, they inspire me and make me feel less lonely on this journey… above all you make me think that I am doing something right, though not everyone appreciates it right now! I’m so glad my post made you feel less alone and more validated, Sara. When we train students a certain way for 10 years, we can’t expect a new kind of interaction to be easy. I worked 8 years in an alternative at-risk high school in the 90s, and our students were successful because we did make them the directors of their own self-paced learning. Often we’d provide opportunities for projects that combined 2 or more subjects so they could learn and receive credit in multiple classes. And we weren’t easy–kids had to show mastery as a B before they could move on to the next set of lessons. So many students who had “failed” in the regular “listen to the lecture” classroom were thriving in our school–some even graduated earlier than normal! I’m so glad that you and teachers like you are implementing real world learning opportunities in your classroom. You are recapturing those students at the start of HS who would otherwise end up in alternative programs thinking they were the problem. Thank you for reminding me how powerful self-guided project learning can be! Thank you for your thoughtful response, Barbara! I absolutely agree that we cannot expect students to adjust to a totally new approach to learning without some bumps. 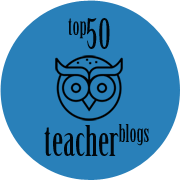 As a teacher I want them to be as excited as I am about learning but I know that’s idealistic. All I can do is continue to push the envelope, articulate the value and support them in the process. Your point about students who have floundered or failed in traditional courses being successful resonates with me. I have so many students thriving who had previously struggled. Conversely, I have some students who did well prior to my class flounder. When the conversation is focused on developing skills instead of accumulating points, students who were successful in the old model push back. It’s a challenging shift for sure! I enjoyed hearing you speak today at FBISD’s Digital Learning Conference “Learning Under Construction” At the end of the day I won a door prize and I chose your book “Blended Learning in Action” and a wireless keyboard. Thanks for the inspiring words you wrote in that book. I look forward to implementing some blended activities in 2017-18 with my students with special needs. It was my pleasure, Marilyn! 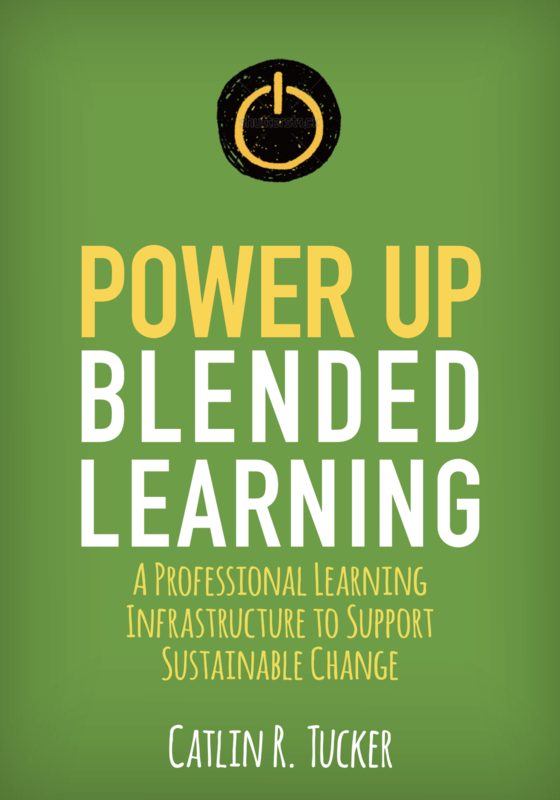 I wish you luck using blended learning models to support your special needs students! I hope you find my book useful to you as you implement! I applaud all of the teachers above. I am a retired 7th grade teacher who was a “project-based teacher my entire career. I completely understand the position you are facing with students. I found that students, especially brighter ones, became much more frustrated than others. This was a result of the fact that traditional boring, dumping information into their heads with notes, lectures or films and power point was much easier than having to communicate, problem solve or build, research or create a project with a community of leaders. Problems that I faced were with other teachers who were either jelouse of the fun my kids had coming to school every day or the fact that they were clueless and just bad-mouthed me. The other problem I began to face during the common core , data drive obssession was the administration and parents. Parents began to worry that they were not taught this way and the administration was correct to be questioning my teaching. Well I have always said, I knew that I believed in what I was doing because number one, my kids were happier than other classrooms and their grades were just as good. Number two, the quality of learning far exceeded other students, number three they were better prepared for the world. Number four, they became life-long leaders! I still work 4 days a week loving every day of teaching and I have to say the kids love me too but in 2012 I left teaching before my 30 years and retired early at 26 years! I don’t regret a moment of my entire career! May the force be with all teachers who are brave enough to do what is right for kids!! Kudos Catlin and well done! This is exactly what I focus on at the corporate level with adult learners. But the sad reality is that one day – as folks like you do your awesomeness in preparing younger students – my focus with adult learners may become less relevant…because they will already be prepared!!! I am having very similar issues. I teach 9th and 10th grade math and when I hear my students talk about my class or when the students do evaluations which our administrators, county, and state use to judge our performance they say I am not teaching. I feel that my students are learning so many life skills as well as the math they need to learn (they ALL passed their end of course test), but students and, therefore, parents complain that the my class is too hard when their student has to work for an A and they say I am not teaching. This has resulted in my being asked to reduce this type of teaching and learning especially in the first semester. I wish other teachers would increase this type of learning sooner instead. I hear you, Tiffanie! If I had a dollar for every kid or parent who said my class was too hard, I could buy Chromebooks for all of my students! If we give students grades that do not reflect their skill levels, I don’t think we are doing them any favors. That said, I know how hard it is to be constantly questioned. I read your post. I am a retired teacher from Argentina. But I want to tell you that in the other hemisphere, in the southern and far country, many teachers ask the same things. I love feeling that those of us who love our students are strongly questioned. That way we will build a better world. A world of peace. A case for Montessori education in the public sector. From pre-order through 12. Thank you for sharing that link, Leigh. I’m a big fan of Barbara’s work. I have wrestled with this as a 5th grade teacher and have encountered the “learned helplessness” of my students, waiting for me to tell/show them “how to do.” Next year I expect to continue on this path, helping my students relearn “how to learn,” as I move to the middle school to teach STEM to grades 6-8. Great article Caitlin, and the struggle is definitely real. 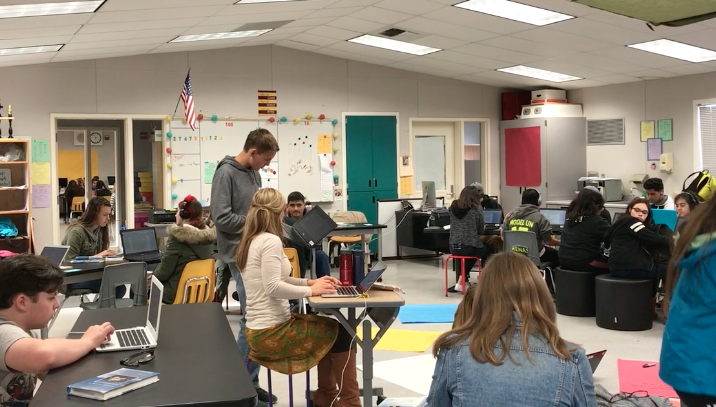 We just received new laptops from STS Education (https://www.stseducation-us.com/second-life-hardware/laptops/) an edtech provider and I’ve been struggling to weave the technology into the classroom a good amount, all while developing soft-skills within my class, and not just standing in front of the classroom lecturing. This was a great post and really mentioned some good points in education nowadays. Thanks again for sharing it! I face all of the struggles you stated. As a 7th grade Science teacher, I use blended learning along with hands on learning. The first 9 weeks, I’m constantly asked when I’m going to “teach” them something (stand up in front of the class and lecture). Then at parent conferences the parents ask me the same question. When I explain how my class works, they just mumble about how it wasn’t done that way in elementary school and their child easily earned an A then. This past year it seemed as if all the students, even advanced had “helpless learner”. They were so use to being spoon feed, they didn’t want to collaborate (unless cheating off one another) or wouldn’t put any effort into student led discussions or projects. At the end of the year, I still had students telling me that if I “taught” normal they would have made honor roll or Jr. NHS. Keep the faith, Amanda! I know how frustrating that can be. I honestly feel like many of my students won’t truly appreciate the skills they developed in my class until long after high school. Just because “teaching” looked a certain way for 200 years doesn’t make that the best way to learn. I hope you can stay confident in your resolve to develop learners who are capable of problem-solving and learning long after they leave your class. I hope your summer is relaxing and rejuvenating! I couldn’t have came across this at a better time! This week I had a parent write a very long email to my principal stating that her daughter loved all of her classes w/ the exception of mine. I was shocked, because this is something I have never heard in my 14 yrs of teaching (surprisingly), and this particular student appeared to enjoy my class. The email said that I rarely interacted w/ my students, and instead, sat behind a computer and posted the assignments on Google Classroom, leaving them to pretty much figure out things on their own. This couldn’t be further from the truth. 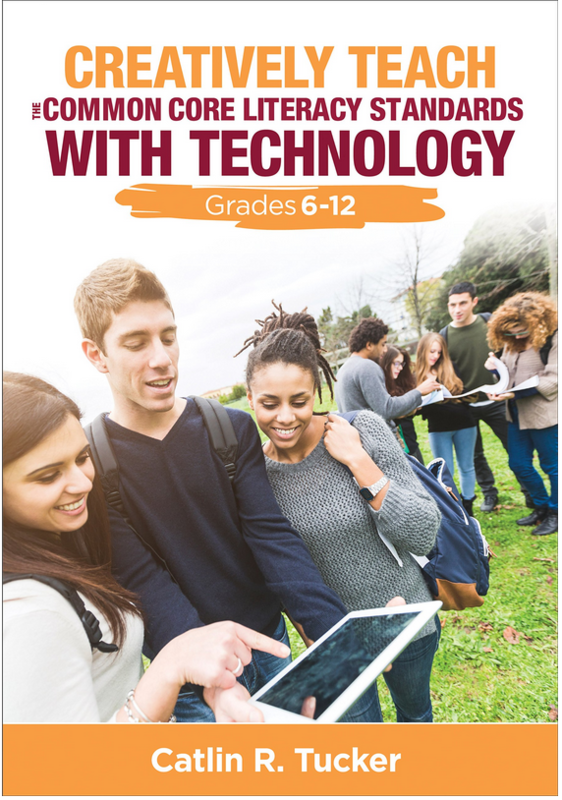 Yes, I do have a paperless classroom, and the amount of time I’ve spent creating the digital lessons that are student-centered, allow for differentiation, and tend to make kids love my class is why I have loved my job…until now. My teaching style is why I was moved a couple years ago to this particular team, which is a Magnet STEM program w/ advanced and gifted middle school kids. Now, this group of moms who aren’t used to my teaching style have banded together in hopes of more “lecturing,” according to the words the mom used in her email. My colleagues and husband can’t understand why I’m taking this so personally, but when you put your heart and soul into something, only to get this type of negative response, it’s hard not to. I guess the student who complained to her mom left out where I walk them through each lesson, explain the process step-by-step, provide real time feedback while they’re working, etc. Sooo disheartening. Thank you again for sharing this! I apologize for writing a book, but this was exactly what I needed. I can definitely relate to your experience on a few levels. I, too, have experienced pushback from parents and students who are used to traditional teaching/learning models. Students are not used to this level of autonomy. Many have been spoon fed information for 10 years before they get to me. They’ve been conditioned to expect something specific from their teachers. Untraining them is exhausting. All I can say is remember your WHY. Why do you teach this way? Articulate this for yourself and your students. Don’t lose sight of what has motivated this approach to teaching. Thank you so much, Catlin! Not only did I share this on my Facebook “Lit with Lyns” page, but I also shared it with my principal, who agreed that you nailed it in every sense of the word! He’s considering sharing it w/ the moms I was referring to above. You’re right… I have to remember the WHY!!! I’ll keep telling myself that. Thanks again! You have no idea how happy I am that I found this article when I did. You are so welcome, Lyndsey! I’m glad sharing my own challenges can help other educators realize they are not alone in this journey towards transforming education! lectures? This may alleviate some parent concerns, and kiddos the direct instruction that can also help theor learning. They can watch for HW/ or im class on their time. Without being overwhelming, I’ve found that this mix (along with a lot of feedback) works well. I use the flipped classroom for most of my instruction. I do reteaching in person, but I record any information I want students to have so they can self-pace through it or watch it multiple times. Thank you for writing what my frustration had been for several months. With students vying for the best marks for post secondary entry and scholarships, trying to change a culture of traditional learning and learners from a passive “Just tell us what you want us to learn” to one of discovery and satisfaction sometimes feels like rolling a boulder up a hill. Many of you have mentioned that students say they don’t like PBL. They want the teacher to teach stuff. They feel that the teacher in PBL class isn’t really teaching. Is it possible that the kids are right? Or even if you disagree with your students’ assessment, is it possible that PBL isn’t meeting their needs for a focused, explicit form of instruction? It’s interesting that the kids are telling you clearly what they want, yet you seem a bit dismissive of their concerns, writing them off, accusing them of being passive and wanting to be “spoonfed” simply because they desire a more traditional learning experience. Thank you for sharing this video so we can see what it looks like at the elementary level, Travis! Whenever I think about personalized learning, I marvel at our approach to breaking kids up by age instead of skill level. I’d love to observe a school that has done away with grade levels and moves students based on the development of skills. I’ve wondered what impact that could have (positive and negative) on motivation. I really like the term “architect of learning experiences.” I often see other phrases like “guide on the side” or “facilitator of learning,” and I think they really under-emphasize the amount of careful work the teacher is doing ahead of time to design the learning experience. Thank you for this post, Catlin as I struggle with the same challenges in my classroom, and like others it’s helpful to not feel alone in that. I would love to see a future post (or maybe you have one I’ve missed) on how you address this with the students who resist this teaching model and just want their easy lectures back. I’ve found they often enjoy short burst of inquiry or student-led learning but resist it on a whole course level. Thanks! You are so welcome, Esther! I feel like the theme of how I articulate these changes for students runs throughout my posts but I don’t know that I have one specific to that. The goal for me is to teach them how to learn without me. I want them to drive their learning, but it does take active retraining at the start of the school year. Caitlyn, this post is so spot on. It is a common struggle that can take on a life of its own. Being the architect and the coach in a student’s learning is so very different than what most of our students expect. They have assumed this level of passivity that breaks my heart. I work at it every day just as I hear you are doing. Continue to share you journey. Thank you, Kaye. I agree that is heartbreaking that kids accept this passive role. I want them to expect more. They deserve more. And, I love my new roles as coach and architect instead of feeling like I need to know everything.